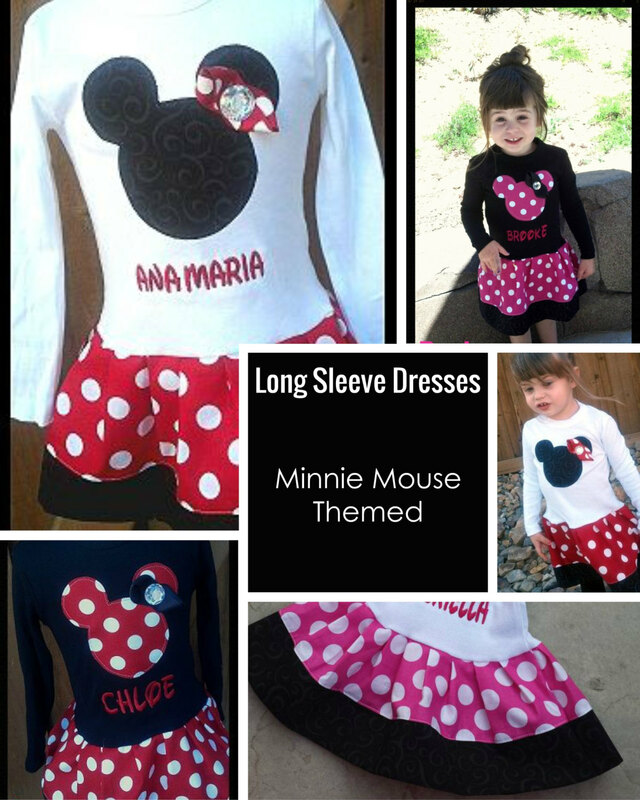 THIS LISTING IS FOR 1 LONG SLEEVE MINNIE THEMED DRESS. 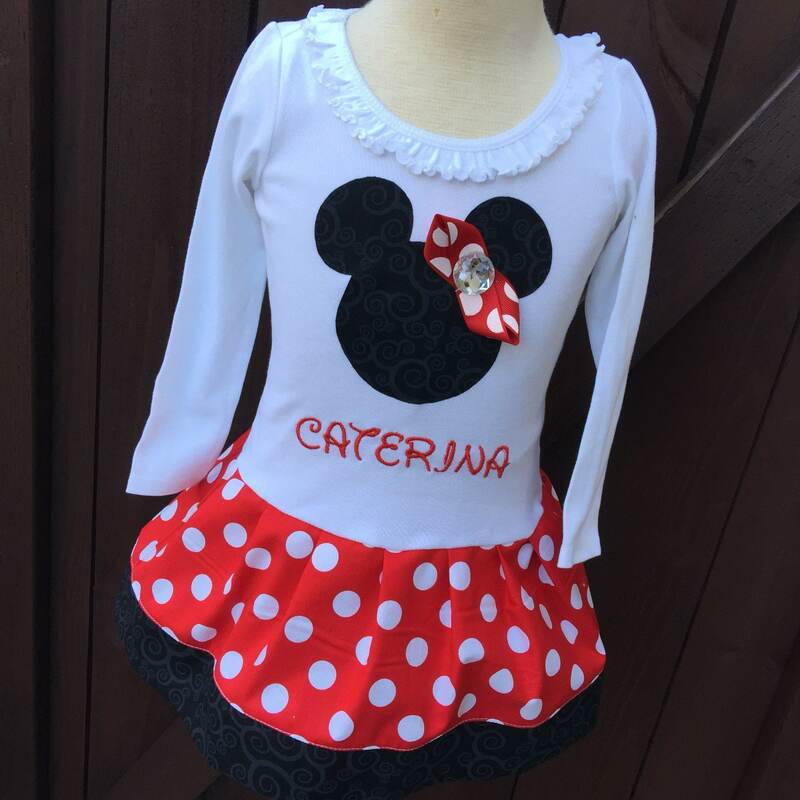 ITEM AVAILABLE WITH OR WITHOUT EMBROIDERY. Long sleeve dresses fit loose compared to our tank dresses. 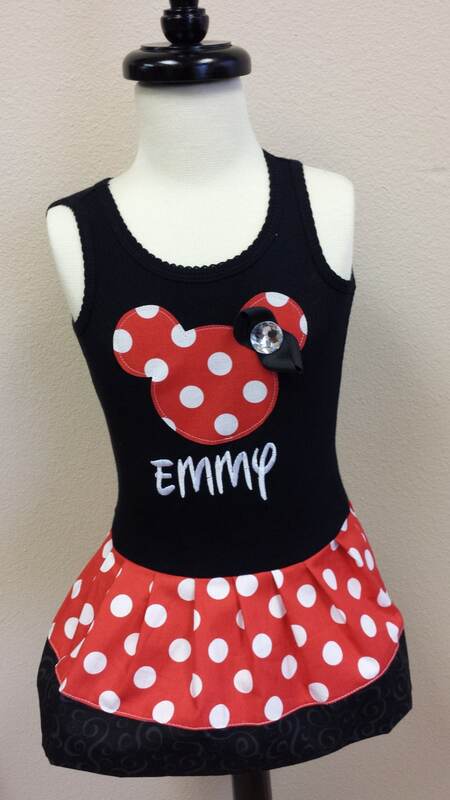 We do not suggest upsizing unless emailing us childs measurements to avoid waistline hanging too low. 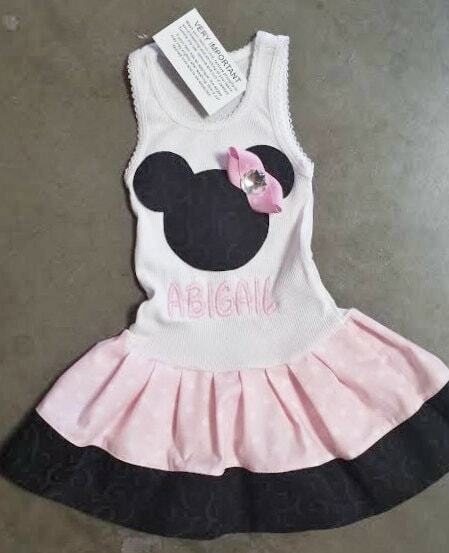 Dress turned out perfect, and is great quality! 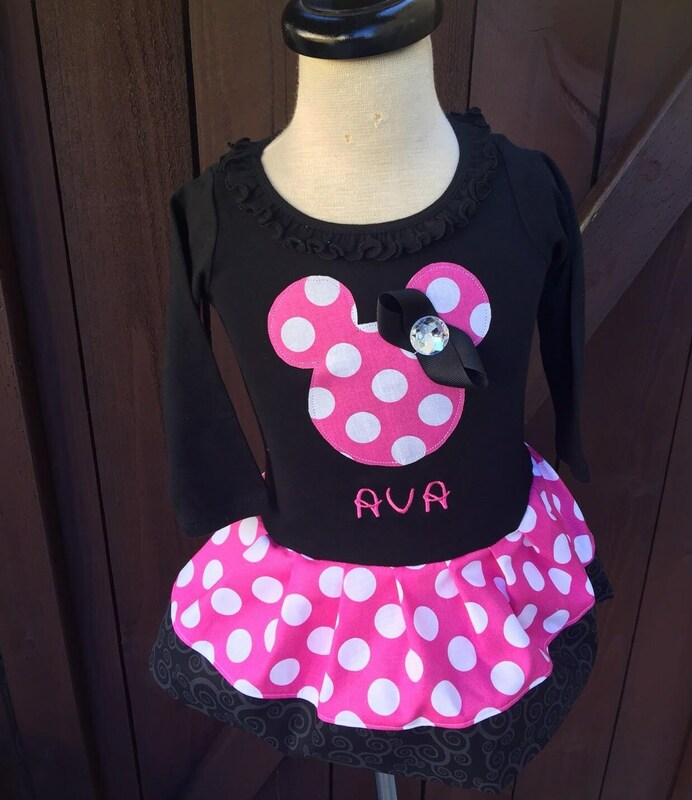 Can’t wait for my daughter to wear at her birthday party! Shop was very accommodating!